Osaka is known as the Kitchen of Japan. That alone is reason enough for us food-loving Malaysians to make it one of our top destinations. This beautiful city is a lot less crowded than Tokyo but still offers plenty of memorable travel experiences. 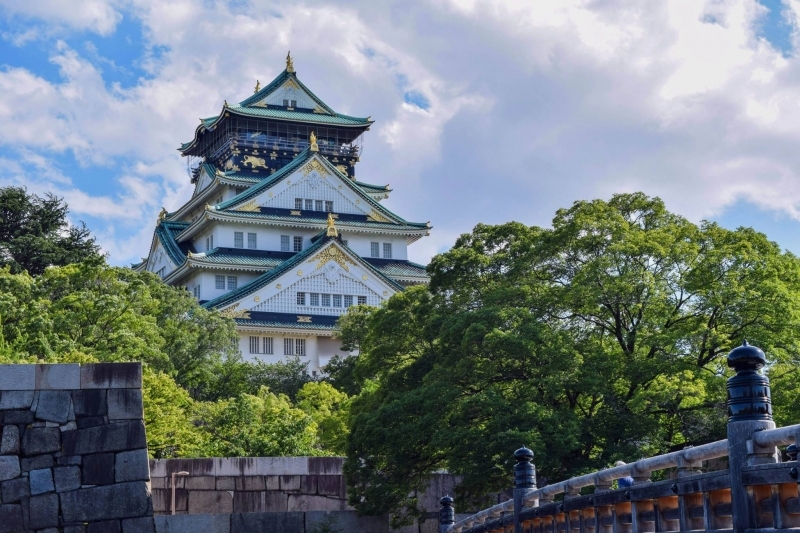 Stunning natural attractions, a rich cultural history, and quirky attractions all make Osaka an amazing destination for any time of year. Still not convinced? Then maybe this handcrafted 4D3N backpacking guide will change your mind! The closest airport to Osaka is Kansai International Airport. The flight would take approximately 6 – 7 hours (get comfy!) and would cost between RM1,200 to RM1,500 on budget airlines. You can score super cheap flights during July – August but I wouldn’t recommend it. This is the time when typhoons are most active. It’s also the height of summer so you won’t be able to escape the Malaysian weather! 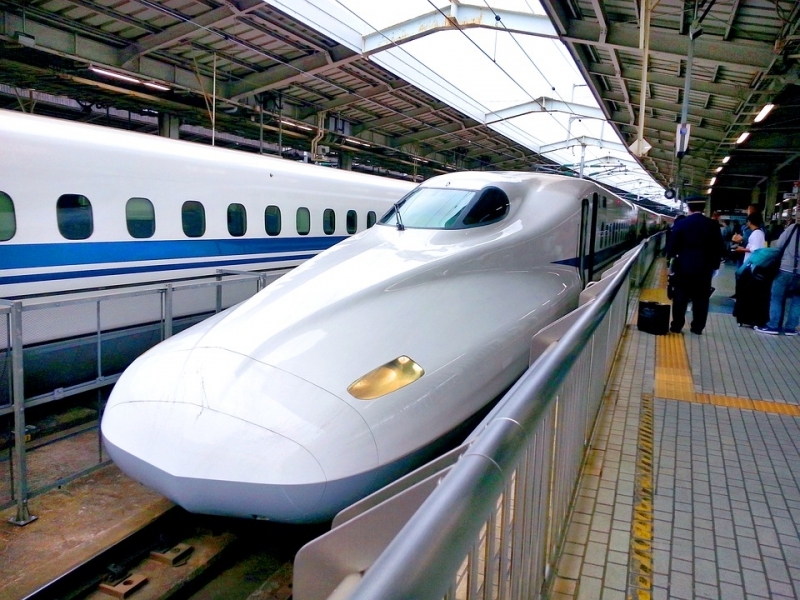 If you’re travelling to Osaka from a different city in Japan, you can ride the Shinkansen (bullet train). However, take note that prices for the Shinkansen can be quite pricey unless you have the JR Rail Pass (more on that later). Alternatively, you can utilise the local express trains (cheaper but also slower) or book a seat on a highway bus. The best time to visit is between March to May (spring); and between October and November (fall). Compared to the rest of Japan, Osaka’s weather is quite temperate, so even during winter, it won’t be too cold. 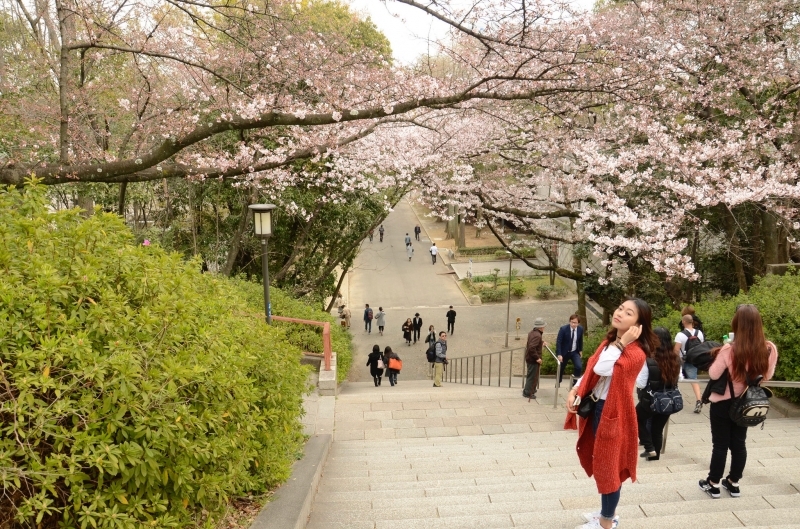 One of the best things about Osaka is that it is an extremely backpacker-friendly city. There are plenty of accommodation options to choose from. Typically, accommodation would set you back an average of RM170 – RM200 per night depending on the type of accommodation. However, you can always find cosy guest houses or capsule hotels that provide much cheaper options. 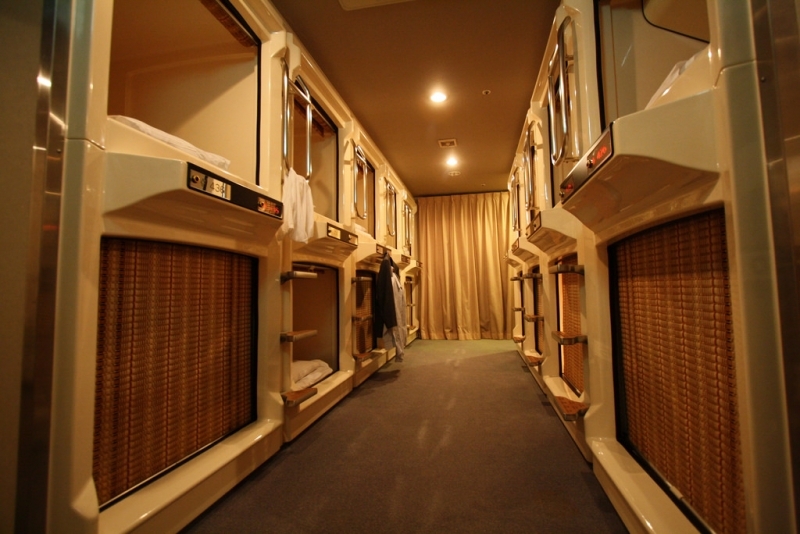 What’s more, staying in a guest house or capsule hotel allows you to experience the local culture and interact with other travellers from around the world. You’ll have plenty of opportunities to mix around and make new friends! If you’re wondering which area in Osaka you should stay at, I recommend looking into the Namba and Umeda areas. These are the heart and soul of Osaka, filled with plenty of attractions and good food. There are many efficient public transportation options in Osaka. Your best friend will be the metro which connects to most of the major areas in the city. There are also public buses as well. All in all, getting around Osaka should cost you no more than RM70/day, maybe even less. 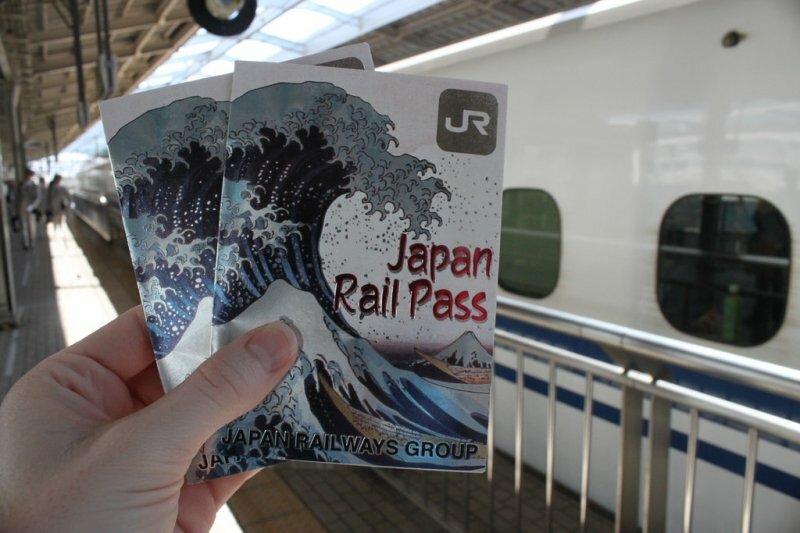 The question now is: should you get a JR Rail Pass? The answer to that is “it depends.” If you plan to travel to many different cities in Japan, then yes, get one. However, if you’re only going to be travelling around specific areas, then you might not need it. This is because the JR Rail Pass mainly saves you money on inter-city Shinkansen ride, which can cost upwards of RM800 for one return trip. Depending on how you plan your journey, you might be better off getting a Wide Area Pass instead. If you’re travelling within the Kansai Area (Kyoto, Osaka, Kobe, Himeji, Nara etc. ), then get the Kansai Wide Area Pass. It’s much cheaper, costing only RM328 and covers most trains and public buses. The only downsides to it is that the validity period is much shorter (5 days) and does not cover Shinkansen rides. However, it shouldn’t matter much because even the limited express trains are quite fast. 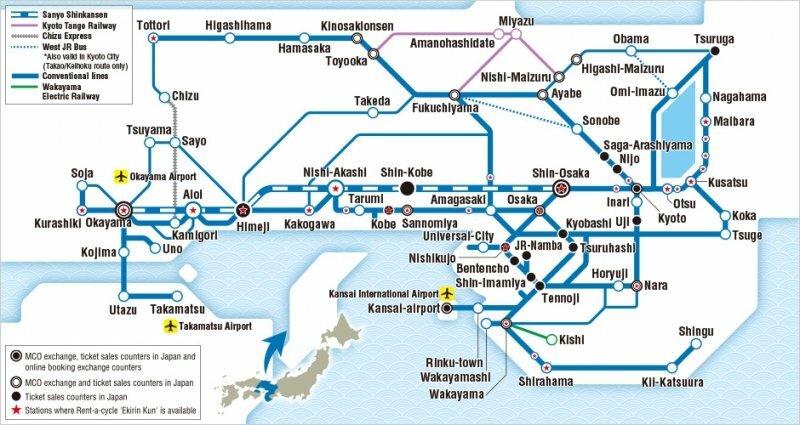 A trip between Kyoto and Osaka would take only about an hour. This historic castle was first built way back in 1583 and was at one point the largest castle in all of Japan. But I won’t bore you with a history lesson, you can find out all about the storied halls in the onsite museum. Having undergone major repairs in 1997, the castle now features a modern interior, even equipped with an elevator for quick access! But before you even enter the castle, you’ll be blown away by the lovely area around it. The stunning exterior of the castle tower blends well with the citadels, turrets, gates and walls around it. There’s even a moat on which you can take a boat ride around the main complex. The main attraction however, has to be the fabled Nishinomaru Garden. With over 600 cherry trees and an ambient tea house, the garden is one of the very best places for cherry blossom viewing during spring. You can easily spend up to three hours here just taking in the sights, exploring the castle grounds, and learning about the rich history of this place. 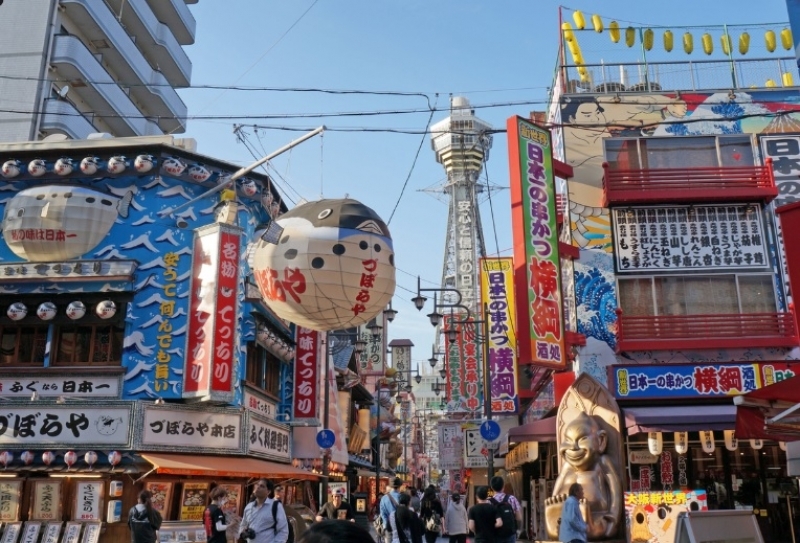 The Shinsekai District is one of Osaka’s quirkier attractions. This trippy, dystopian-looking area was actually first developed before World War I, but was completely forgotten about soon after. The iconic Tsutenkaku Tower which stands in the middle is modeled after the Eiffel Tower. It stands at 103 metres, towering over everything in the area. There is an open-air observatory deck that was newly opened in 2015. Meanwhile, the Southern portion of Shinsekai is modelled after Coney Island (New York). This vibrant district is home to Osaka Spa World, the city’s famous public bath complex. It contains several large pools of natural hot spring water and the baths are gender-separated by themed floors (European and Asian themes). For the foodies, Shinsekai is also famous for kushikatsu, one of Osaka’s most popular delicacies. 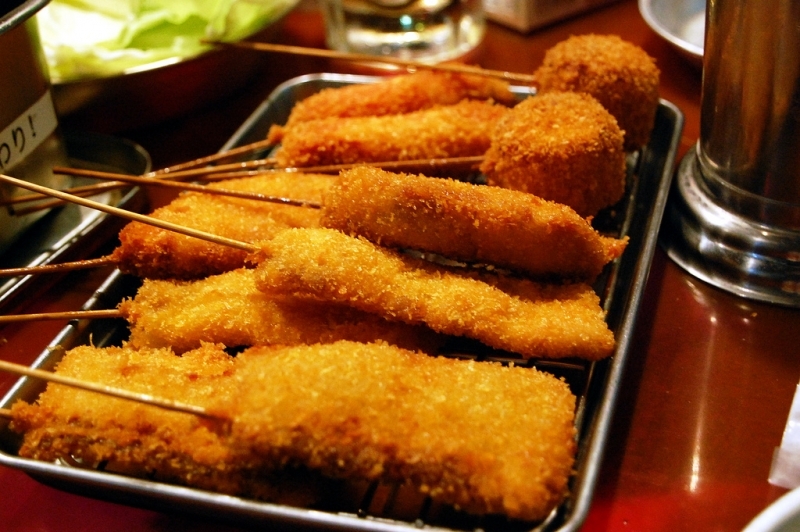 Kushikatsu is basically battered, fried snacks on a skewer. Choices range from meat, vegetables, and even ice-cream-flavoured varieties. Of course, if you wanna talk about food, then nothing compares to the treasure trove that is Dotonbori! 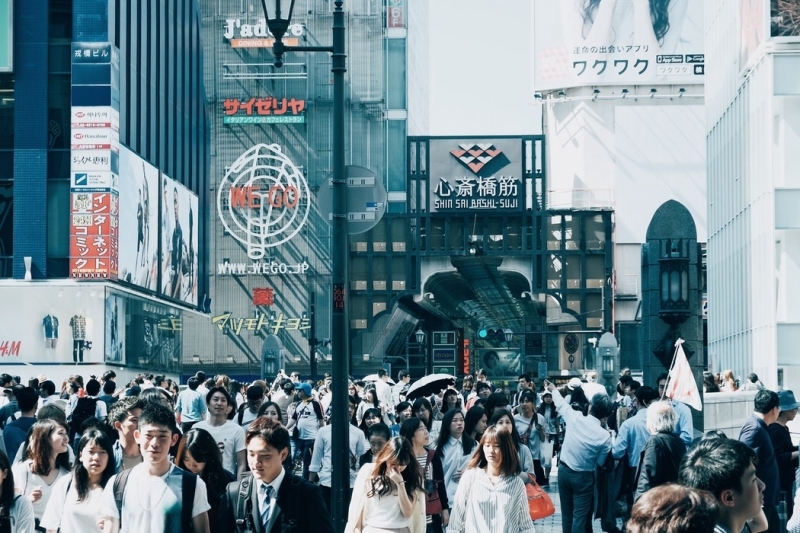 Dotonbori is easily Osaka’s most popular tourist attraction, thanks in no small part to its shopping, entertainment, and food options. Located along the Dotonbori canal, this part of town is synonymous with street food and the famous Glico Running Man sign. As night falls, locals and tourists alike flood the area. Amongst the flashy neon and mechanised signs, your sense of smell will also be assailed with plenty of aromatic smells of freshly-cooked food. There’s not much to say here except eat to your heart’s content! If you’re not sure what to eat in Dotonbori, check out our guide to the top 10 must eat foods there! 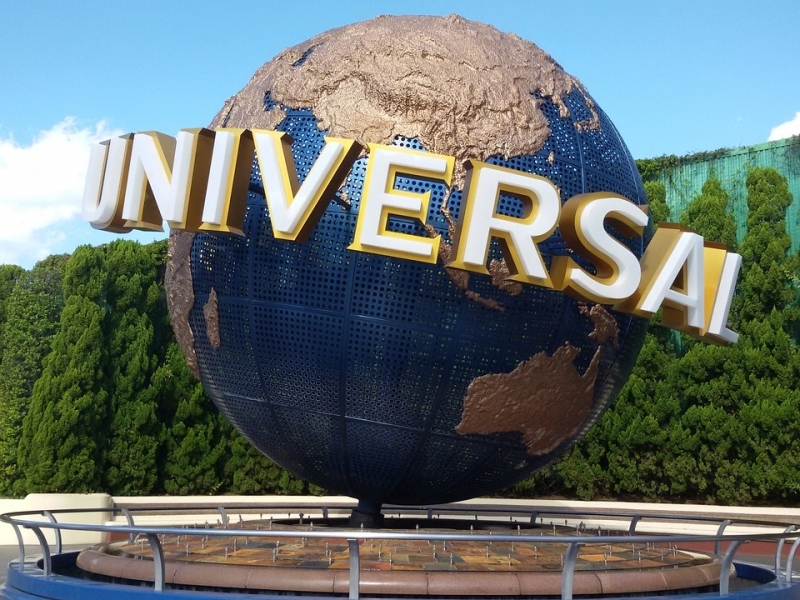 Of course, no trip to Osaka would be complete without a day at Universal Studios Japan, am I right? But before you hop into that fun ride or find your wand at Ollivanders (we’ll get to that), I’m sure you’ll have plenty of questions. First, USJ (not Subang Jaya okay?) is easily enough to get to. The quickest way there is by train. You can catch a direct train from Osaka Station to Universal City Station via the JR Yumesaki Line. It only costs about 180 yen (RM6.80) too! The obvious rules apply: don’t go during the weekends, avoid public / school holidays, and arrive early if you have not pre-booked your tickets. My friend and I arrived about half an hour before opening time and believe it or not, we were in line for nearly an hour and a half! Confused? Don’t worry. Basically, the Studio Pass is the main entry ticket. Without it, you can’t enter the theme park. You can either get a 1 Day Pass or a 2 Day Pass. The tickets aren’t exactly cheap, which is why it’s important to be able to get your ticket early so you don’t waste any time. In addition, it isn’t compulsory but I highly recommend getting an Express Pass. The pass allows you to skip lines at the park’s most popular attractions, which saves you a lot of time. The different types indicate how many attractions they are valid for. The pass is rather expensive so if you’re not planning on visiting all the attractions, feel free to pass (no pun intended) on it. The third ticket type is the Timed Entry ticket. This is completely free but understanding how it works is essential to having a good time. 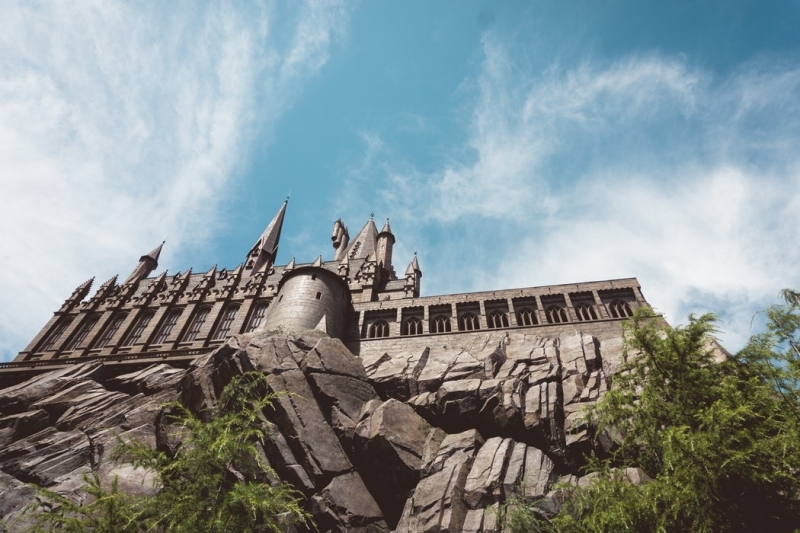 Due to the immense popularity of the Wizarding World of Harry Potter, USJ practises timed entry to control the number of visitors entering that particular zone. So, if your ticket says you can enter between 1 p.m. till 2 p.m., that’s the only time you can enter. However, don’t worry because it doesn’t mean you can only spend one hour inside. It just means your designated entry time is during that period. Once inside, you can spend as long as you want. But if you exit the zone, you’ll need another timed entry ticket to re-enter. You can only get the timed entry tickets either at the timed entry booth, or by purchasing an Express Pass (the timed entry ticket is included). There is no pre-booking option for this. You can pre-book the rest of the tickets online at licensed USJ partners such as Klook and JTB. Now that I’ve told you how to enter USJ and how to skip the lines, I leave the rest of the day to you to explore and enjoy. 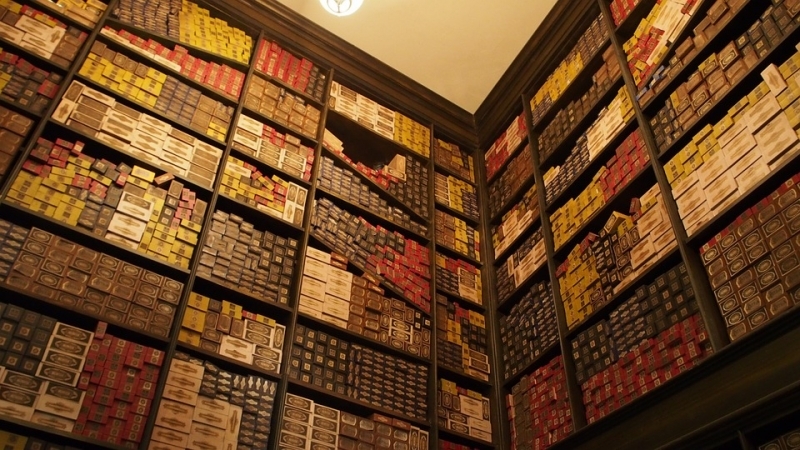 However, because I’m a massive Potterhead, I do have one recommendation for The Wizarding World of Harry Potter: Get your own wand at Ollivanders. You can choose to go for the “famous wands” such as the ones used by characters from the books/movies, or you can pick your own wand based on your birthday and personality. 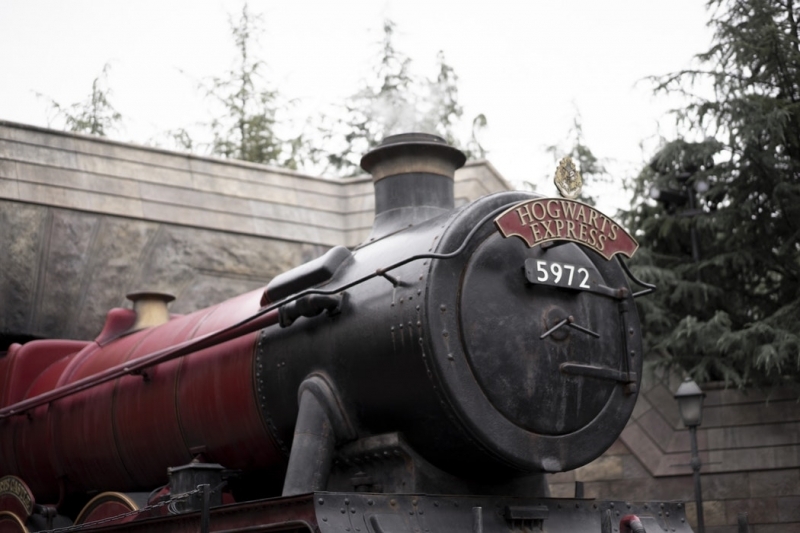 Not only is it a good keepsake, there are also several locations throughout The Wizarding World of Harry Potter where you can use your wand to interact with the surroundings. Just consult the map you’re given upon entry to find them. Putting the joy and excitement of USJ behind us, it’s time to calm down a little bit for Day 3. So we’ll start with another popular (half) day trip destination: Nara. It only takes about an hour to get from Osaka to Nara via train. The journey is covered by the Kansai Wide Area Pass as well. If not, be prepared to fork about about 1,500 Yen (RM56.40) for a return ticket. 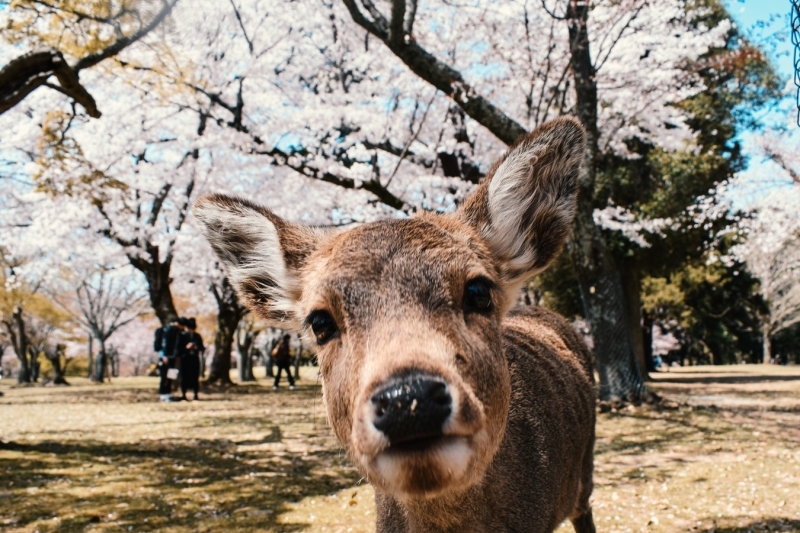 As you might have already seen on social media, the key attraction in Nara is Nara Park, specifically the free-roaming, bowing deer. It’s a wonderful place to hang out at and stroll about (just don’t step on any faeces! ), especially if you visit during spring or autumn. The deer are so used to humans now that they’re not shy at all around tourists. Be gentle and try not to startle them though. 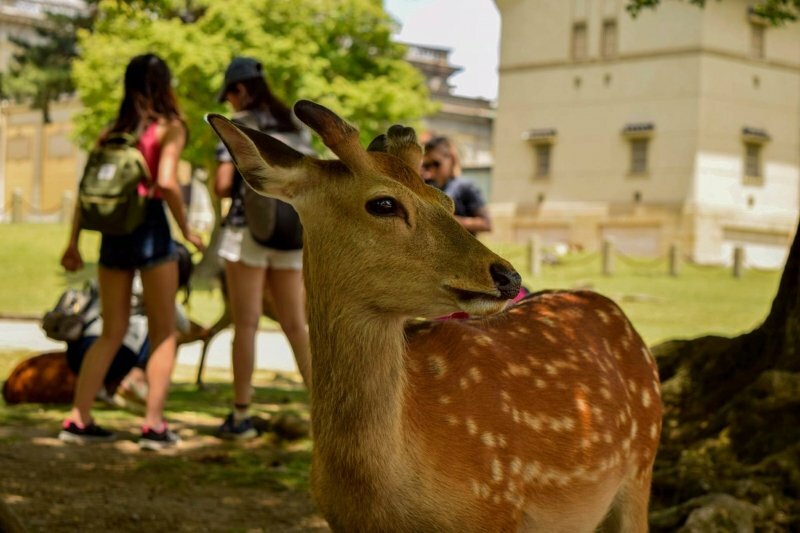 If you want to increase your chance of being able to interact with them, you can buy deer cookies from several vendors throughout the park for about 100 Yen (RM3.80) and feed them. Take note that the deer will swarm you the moment they realise you have those cookies! And while most of them are polite, some of them can get aggressive and nibble on your clothes. So be careful when you close it for a selfie! 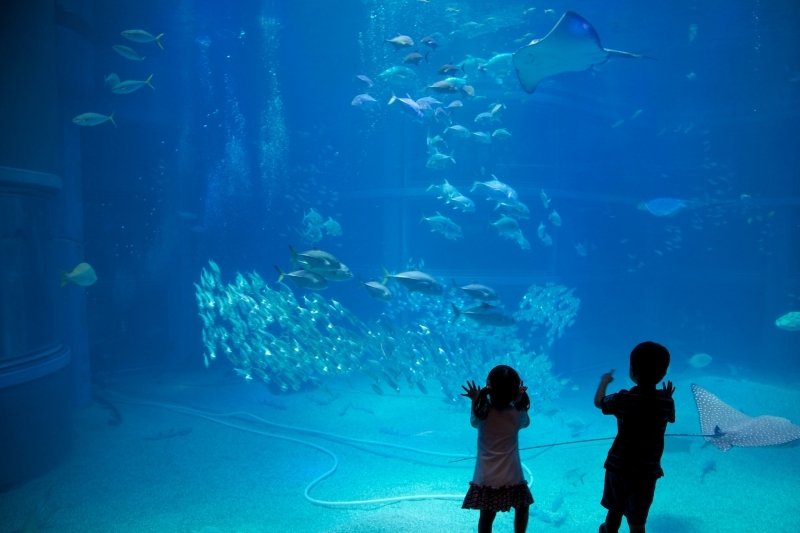 The Osaka Aquarium (Kaiyukan) is arguably Japan’s most amazing aquarium and is one of the city’s must-visit attractions. It houses a large variety of marine animals that inhabit the Pacific Rim in 15 different tanks which represent the different regions in the area. The central tank is nine metres deep and houses the aquarium’s star attraction: a majestic whale shark. For the best tour experience start on the 8th floor and work your way down, moving around the central tank as you go. This allows you to view different species from various different angles and perspectives, which is super cool. The entry fee is around 2,300 Yen (RM86.50). Now we can’t let you go home empty-handed, now can we? It’s time to head to Shinsaibashi-Suji, one of Osaka’s oldest and most atmospheric shopping destinations. 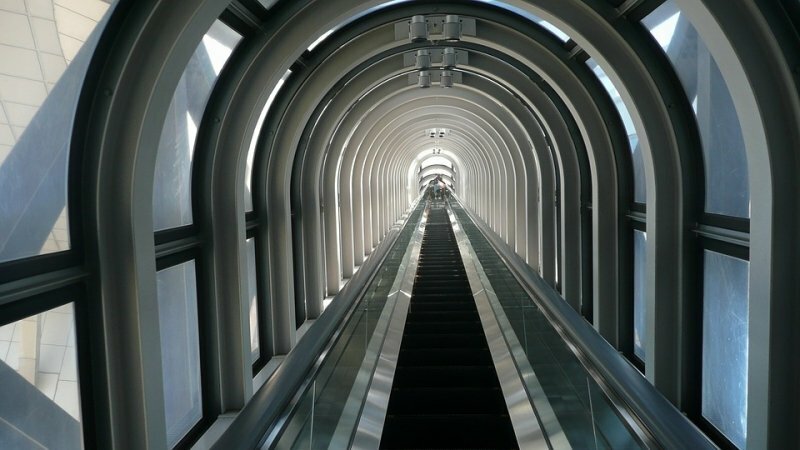 It is located between the busy districts of Umeda and Namba. This covered shopping arcade stretches well over 600 metres and house multiple branded chain stores, local boutiques, and restaurants. 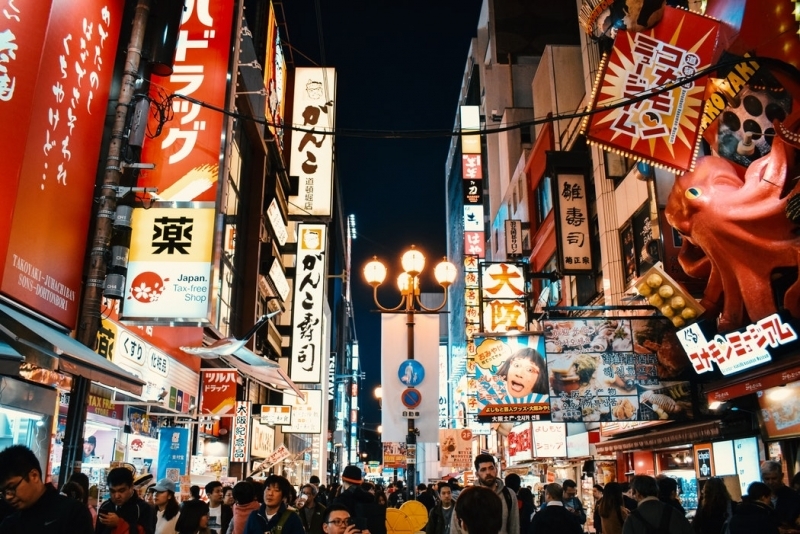 It is also connected to Dotonbori so you can head there to dinner after shopping! In addition, you can also make a detour to Den Den Town in Nipponbashi if you’re looking to score bargain deals on electronics and gaming goods. And just like that, it’s already our last day in Osaka. But before we head home, there’s one more iconic attraction to visit: the Umeda Sky Building. Standing at a dizzying 173 metres, the Umeda Sky Building is an important hi-rise building in the Kita District. The building consists of two towers which are connected to each other via its picturesque Floating Garden Observatory. As the name suggests, this open-air observation deck offers some truly spectacular views of Osaka’s skyline. And with that, our journey in Osaka (in this itinerary) draws to a fitting conclusion. 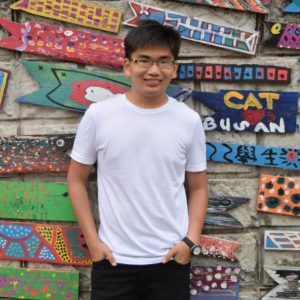 There are plenty more hidden gems in the city to explore and since this guide already covers most of the must-see sights, you can have more time to discover the more obscure attractions at your own free time! The only thing left to do now is to book that flight!